Post45 is a radical academic journal published by a collective of US-based scholars focused on post-WWII American literature and culture. In addition to the journal, the group periodically publishes collections of shorter essays on specific themes. The most recent collection is on the theme of “Global Horror,” and features a fascinating essay on feminist horror fiction by Patricia Stuelke. Entitled “Horror and the Arts of Feminist Assembly,” the essay examines how a handful of feminist fiction writers in Argentina and the US are retooling the horror genre to explore the commodification of the female body under neoliberal capitalism. Check out an excerpt from the piece below. The aesthetic of these manifestos resonates with the recent resurgence of horror in feminist literary fiction in Argentina, but also in the United States, in texts ranging from Samanta Schweblin’s 2017 novel Fever Dream (Distancia de Rescate) to Mariana Enriquez’s 2017 short story collection Things We Lost in the Fire (Las Cosas que Perdimos en el Fuego) to Carmen Maria Machado’s 2017 short story collection Her Body and Other Parties to Ling Ma’s 2018 novel Severance. This resonance continues the long tradition Mark Stevens traces in which “anti-capitalist critique inspires a concomitant aesthetic program”; “a critique of [capitalist] horror,” he suggests, “produces horrific forms.” In this sense, the energy and aesthetics of the Argentine and international feminist remaking of the strike against capitalism’s “gore realities” are infusing, and perhaps being infused by, the feminist horror boom. These works repurpose horror conventions in order to confront the entangled forces of environmental destruction, financialization and extraction, and the exploitation of women’s labor, viscerally rendering the " intersectionality of problematics" that Gago locates at the heart of the strikes and their “non-identitarian popular, communitarian, indigenous, slum feminisms.” Like the financial-crisis horror films Annie McClanahan analyzes, these texts reject the “cathartic conservatism” and conventional closure of the horror genre. In their refusals, they capture something of the way the Argentine feminist and international women’s strikes are reusing old materialist feminist theory and pressing it into an embodied anticolonial, anticapitalist, vitalist, ecofeminist project, one that connects the violence of extractive capitalism and the corporate pollution of the earth to sexual, economic, and toxic violations of women’s bodily sovereignty, without re-naturalizing women’s bodies as the site of reproductive labor. 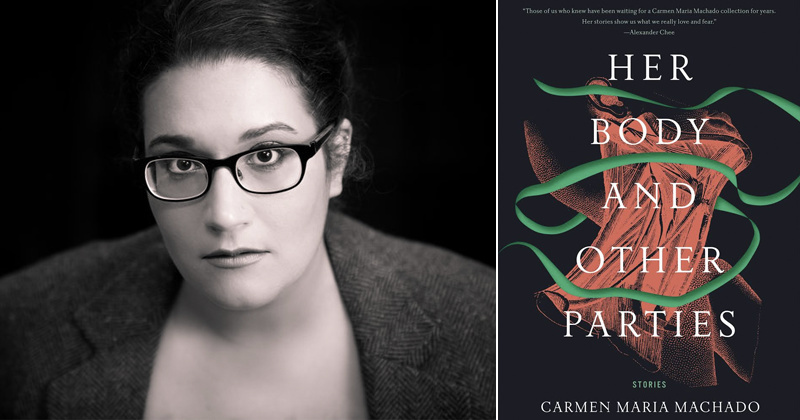 Image: Carmen Maria Machado, author of Her Body and Other Parties: Stories (2017). Via Literary Hub.